Jet engine technology has advanced quite a bit since the Olympus 593 engine which powered the Concorde fired up for the first time in 1966. Advancements in material science and computerized control systems have made engines lighter and smarter, and GE intends to fully capitalize on all those advancements with Affinity. But that’s not to say the engine is a completely new creation; in fact, its lineage can be tracked back to a time not so far removed from the Concorde. GE designed the F101, their first turbofan engine with an afterburner, to power the Rockwell B-1 Lancer strategic bomber in 1970. Even though the B-1 itself suffered through a rocky development process, the engine was an unqualified success and ended up being spun off into two different successors: the F110 for fighter jets (such as the F-14, F-15, and F-16) and the CFM56 for civil use. While the CFM56 was completed in 1974, it wasn’t until the early 1980’s that it started seeing use in the civilian market. There were some critical issues with early versions of the CFM56 which lead to several fatalities, but these were addressed in subsequent revisions of the engine. It eventually went on to become one of the most popular turbofan’s in history, with a cumulative flight time approaching one billion hours. Affinity is based on the proven CFM56 core, with optimizations for supersonic operation such as a smaller fan diameter to reduce wave drag. The engine will also use the latest in Full Authority Digital Engine Control (FADEC) technology to improve efficiency and reliability in subsonic and supersonic modes. With a maximum speed of around Mach 1.6 it will fall a bit short of the Concorde, but is still twice as fast as modern airliners such as the Airbus A330. Reportedly a cruise speed of Mach 1.4 was selected as a compromise between performance and efficiency, while still allowing the engine to adhere to noise regulations during takeoff and landing. Of course, a new supersonic civilian engine doesn’t do much good if there’s no aircraft currently on the market that can utilize it. Like its predecessor the CFM56, Affinity will be arriving to the party a bit early. When manufacturers are ready to start developing new supersonic civilian aircraft there’s going to be an engine waiting for them, and GE will have the market cornered. But they might not have to wait as long as they did for the CFM56. A number of supersonic passenger aircraft are currently being developed, with the farthest along being the Aerion AS2. Designed in conjunction with GE and the legendary Lockheed Martin “Skunk Works”, the AS2 is a business jet that is currently slated to begin operation in 2026. Test flights however could start as soon as 2023, which coincides with GE’s plans for Affinity. While Affinity and aircraft like the Aerion AS2 are exciting prospects, they’re still years away from entering service and anything can happen before then. Just like the loss of VSS Enterprise and co-pilot Michael Alsbury pushed back Virgin Galactic’s plans for civilian suborbital flights, an incident during the testing of AS2 could derail supersonic passenger flights for years. 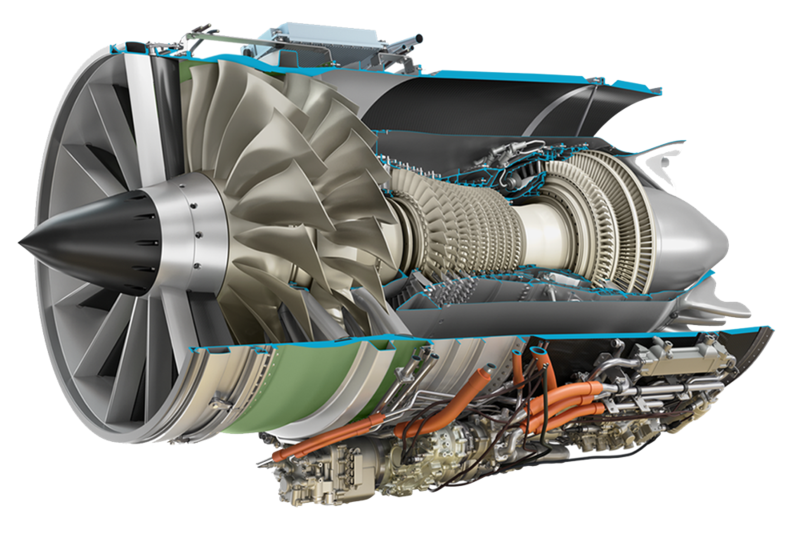 Both GE and Aerion have stated they see no serious technical hurdles with the program, but the fact remains that both engine and aircraft are today little more than CAD files and press renderings. 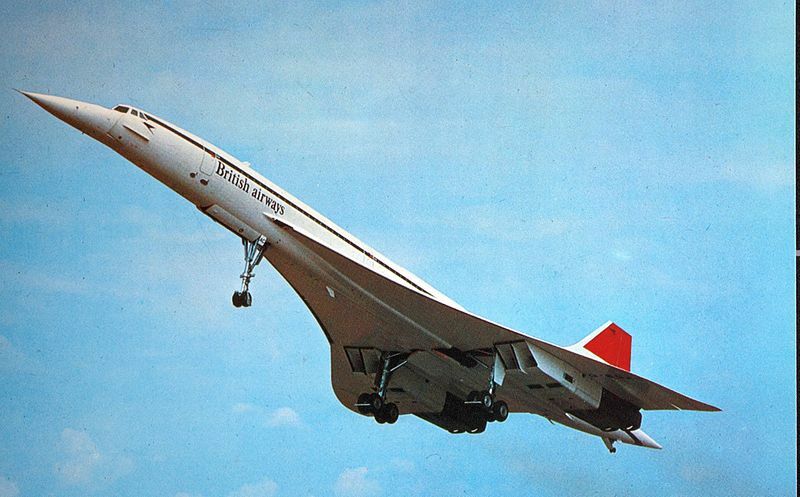 But even with cutting edge technology, some of the key challenges the Concorde faced such as high ticket price and limited supersonic routes still remain. Even if a new generation of civilian aircraft and engines can pierce the sound barrier, breaking the economic barrier might still prove the greater challenge. It happens more and mores on hackaday. Is it me ? Maybe, but I don’t like that at all ! I didn’t get that vibe here, no adafruit products were mentioned. if this was to be a commercial, then would you be persuaded into buying this plane? Or perhaps you are willing to buy one of these engines to build your own plane? I guess not. I’m also pretty sure that none of the hackaday readers are able (or willing) to do so. In other words if this really was to be meant as an advert then they are barking up the wrong tree. To me this is evidence enough that this isn’t intended as advertisement. Therefore it should be read as just another piece of information about what’s going on in the world today (or actually tomorrow). I’m not talking about an ad, it’s more the feeling to read those presentation leaflet you can find at Paris Air show, or event like that. “But even with cutting edge technology, some of the key challenges the Concorde faced such as high ticket price and limited supersonic routes still remain. Even if a new generation of civilian aircraft and engines can pierce the sound barrier, breaking the economic barrier might still prove the greater challenge.” Cut and paste from any press write-up you mean? Yes, there is a lot of the empty word play on the HaD pieces now. The clever intro paragraph, the shots at big business or social justice endorsements, and the closing wise sounding open-ended emptiness. There is a commercial sameness. Yep exactly, thanks I couldn’t express it clearly because it was a feeling, but that’s exactly that, the feeling of reading a page full of empty ! Well, I missed the Paris Air Show this year, so I appreciate Tom filling me in. This kind of promotion isn’t designed to sell airplanes, or even airplane engines. It’s designed to create a buzz, in order to sway the people who make the decisions about what airplanes should be developed. It’s strategic advertising. You think the average Hackaday reader is a potential customer for a supersonic jet engine? Or is it more likely that the average Hacakaday reader is interested in technological advancements? But, WWCFD (What Would Colin Furze Do)? Magnesium / Acetylene afterburner to ensure you could never land on any airfield that you had taken off from. If only. What kind of hacks one could do if money was no object? Let’s ask the South Carolina winner of the $1.6 BiggaBillions lottery! I know, I wish there was a link in the article to where I can buy one. This would work perfect for the supersonic jet I am building in my garage. Oh, wait. GE’s website counter has shot up with 5 or 6 new hits…. ummm, unless you find a way to violate laws of physics, there’s not that much fortune to be made. Flying faster means burning more fuel, so just on that alone, it will cost more to run. Not really , the Concorde was quiet efficient , what did kill it was the noise (sonic booms on top of the cities?) and the fact that was completely useless on short trips , plus was expensive to build, was more like a spacecraft than a plane. The Olympus was actually pretty efficient in supersonic transit (the Concorde could actually maintain speed with out afterburner/supercruise once at Mach 2). The forcing of it to operate at subsonic speeds for so much of the flight is really what caused a large chunk of its thirst. A modern turbofan with all of the shake out time from the f22/YF120 program should be able to top that. Came here to say this. Energy costs will prevent supersonic commercial passenger flight from happening in the foreseeable future. Efficiency is not as important as absolute energy cost, and most people can’t afford much more than current subsonic airliner economy ticket prices, and income trends don’t suggest that the situation will improve there. It was a combination of oddities that ever allowed it in the first place: A massively expensive supersonic airliner given to private industry on the government’s dime, combined with a sufficient population of people wealthy enough to pay 5 digits for a flight but not wealthy enough to own a private jet. The modern private jet is the successor of the Concorde, making up for the lack of speed with far greater luxury, and that speed is likely to be regained in the future, so there will probably be supersonic private jets, but supersonic airliners for the everyman won’t happen unless energy becomes a helluva lot cheaper somehow. I think they mostly make up for the lack of speed by avoiding the 2-3 hour check in and baggage collection rigmarole of scheduled airlines either side. They were making a profit for the last 10-20 years of Concorde’s life. Partly on the trans-Atlantic route, but also on charter flights, such as Christmas flights up to Lapland to take the kids to see Father Christmas. The simple fact is, people were willing to pay more money to fly on Concorde, just so they could say they had. “No one will ever need more than 640K of RAM” Bill Gates. There is also the ridiculous amount of mechanical stress added upon crossing the sonic barrier. To address those stresses, you need a much heavier airframe, which mean more fuel, which adds to the stresses, and so. Really, if you were to build two aircraft with the same materials but one designed for M0.95 and another for M1.05, the supersonic craft is going weigh at least twice as much and gulp three to four times as much fuel for the same payload and range. And at greater speeds, you have some pretty severe issues in terms of effects on the passengers. Any slight deviation in coordinating maneuvers ends up results in passenger discomfort at an exponential rate with an increase in speed. In sub-sonic flight, a deviation of one degree between the aircraft’s yaw axis and the direction of perceived gravity is negligible, in supersonic flight this can easily cause vertigo, motion sickness, and nausea. Through the last few decades, the aviation industry has learned that at around M0.85 is the sweet spot for passenger comfort where the flight is stable enough that passengers can make use of varying comforts (The lavatories during most stages of flight, meals, entertainment options; and on longer flights, sleep) while not taking too long gate-to-gate. This is also the point where fuel economy is also nearing its peak and stresses are at their minimums. The vast majority of passengers will prefer the 6-hour $600 flight that is smooth enough to move about and eat a meal versus a 4-hour $1500+ flight that brings most people to edge of vomiting. Besides, the two biggest costs in aviation have moved towards the cost of fuel and the cost of gate / hangar space at the airport. A supersonic airliner that can’t hold nearly as many people while drinking down much more fuel just doesn’t make any financial sense anymore. Especially since supersonic craft also require much, much more hangar and maintenance time than their sub-sonic brethren. The Concorde, and military supersonic craft, typically require 3-4 hours of time in the hangar time per flight hour (Mostly to check and repair stressed mechanical components) while a subsonic airliner like the B737 or the A320 require only a single hour of hangar time per 10-15 flight hours, typically to swap QARs, perform cabin maintenance, top off the fluids and give it a good wash (Almost all of which can use an open-air maintenance stand versus a full hangar). I think concorde had bigger speed and price increases without most people being on the edge of vomiting. It was profitable for BA but not air france, so there was market at that time. So whilst a vast majority wouldn’t pay for concorde I think enough still would. Also, Concorde was not aimed at cattle-class $600 long-haul tickets, it was aimed at the 1st/Business class $5000 tickets where being able to fly form London to new York for a meeting and back again in a day would be considered worth a large premium. There’s more and more people around the globe with a lot of money these days – just look at the market for luxury goods. The budget end may have taken off in a big way in the last decade or two but the top tier is only getting topper. Then the internet was invented and you no longer needed to. This especially true with the ridiculously increased security checks with their associated time waste. This to be called “security theater” anyway, because a sufficiently determined individual CAN bring “unwanted” stuff on board, but the main thing is, that normal passengers do not bring water bottles with them. Braniff Airlines rented Concordes for a while for a US route. They’d land in the USA from France or UK, a Braniff crew would get on and they’d fly at max subsonic speed over land. Despite setting a ticket price exactly the same as on their regular jetliners, Braniff never once sold out one of their Concorde flights. After a couple of years of that, Braniff decided to not buy their own Concordes and ended the flights. What kind of mindset says “Eh. I’ll take the slower plane for the same price.”??? Apparently that was the thought of a lot of people flying Braniff in the 70’s. The Concorde was not a comfortable ride, AIUI, a bit cramped and noisy. supersonic flifght will always be for the uber rich. commercial liners are actually going slower than 30 years ago, not faster. do you have some more info about “commercial liners are actually going slower than 30 years ago, not faster.”? Turbojet versus turbofan? Before flight computers and before fuel load versus power setting efficiency tables, how did they set speed? Why choose the 767? It was designed almost 40 years ago and is Boeing’s 2nd slowest model. Some light googling seems to suggest that both Boeing and Airbus have been getting steadily faster since the early 80s, going from about mach 0.80 to about mach 0.85. Notable exception is the 737, which seems to have gotten much slower in models designed after the 80s. Maybe it has something to do with size? It has to do with design tradeoffs. Drag increases with the square of speed, and fuel cost and range have become more important factors than speed in recent years. Somebody did a video on this a while back (Captain Joe? Mentour? ), and what it came down to was, given a choice, having more routes a plane could operate on was a much bigger plus than saving a few minutes of flight time. Another tradeoff is speed vs. weight. For a given amount of thrust, increasing speed requires cutting back on weight (more weight means more lift required, means higher angle of attack, means more drag), so every time more powerful and more efficient engines have become available, the industry’s response has been to increase the cabin size, to get more paying passengers on board, rather than introducing faster flights. it has to do with fuel costs and the fact that flying slower usually burns less fuel per mile/km, therefore decreasing the amount of fuel to carry, lowering further the consumption. and the speed an airplane is capable of is not necessarily the speed an airline/pilot will choose as cruise speed. take a gps with you the next time you fly. but on average, liners dont fly that fast. there is NO reason to fly faster, except for that handful of guys whose time is really valuable. therefore, i predict there will be no supersonic liner, or maybe a handful of them, selling superexpensive tickets to the uber rich. then there are the really-uber-rich, flying biz jets which fly a lot higher and faster than liners, then SS makes sense. as someone rightly pointed out, whats the point in SS flight when you then need to spend hours and hours in ridicolous, pointless procedures in airports that have grown to ridicolous, unpractical sizes. 30+ mins walk to the gates, anyone? It’s true, planes actually fly slower than before 30 years, because of fuel efficiency. I don’t think this is correct. Concorde’s top speed was Mach 2.04 (and it’s cruising speed wasn’t significantly lower at M 2.02). To be better than half that, would still be supersonic. You’re right, that’s not worded properly. It’s supposed to be can’t do better than half, as planes like the Airbus A330 have a cruise of ~0.8 Mach. Concorde’s arguably best trick was supercruise without afterburner. A hellova feat which has yet to be replicated. Will GE’s new engine be able to do that ? Looks that way. As far as I’ve been able to tell, there’s no afterburner on the Affinity at all. The engine is less than half the problem, the design of the inlets is key. At cruise, the inlets were responsible for over 100% of the thrust (ie, without the inlets the engines would have been providing net drag at that speed). that is an old myth (or better said, be ess) and is incredibly still getting traction. Not BS at all. Feed supersonic air into an axial compressor, get zilch. The engines on ALL gas turbine driven supersonic aircraft depend on their inlets to create a subsonic high-pressure area at the compressor inlet. I’m guessing that GE is including the inlet diffuser as part of the engine so it’s not left up to the aircraft designer. will that create thrust? nope, else they could create thrust out of thin air. so inlets do not create any thrust. therefore the statement that inlet are responsible for more that 100% of the thrust is clearly wrong. and btw, more that 100% thrust? what does that mean? there is more thrust than thrust? Ok, so now we’re just quibbling over the meaning of the words “responsible for”. I’m done. For those interested in the subject, tonight (at least in my city) PBS’s Nova showing a new episode about supersonic flight. The rest can go to pbs.org and watch the episode. Nose on rendered plane looks like a duck bill. And the nose on a SR-71 looks like a Labrador Retriever’s at 100Km/h. Note that that engine is for a “business jet”. Those things should be forbidden in this world. They are very expensive gas guzzeling toys for people who have so much money to burn that they do not know what to use it for than for stuff like this. It has nothing to do with Concorde, which at least pretended to be used by “normal” people. The “concerns” about Concorde’s supersonic footprint is also put very mildly here. It was simply almost nowhere allowed to fly supersonic over land because of the noise (Sonic booms scale with aircraft size). I’m not sure, but I believe Concorce lost it’s FAA lisence because of the accident. Making it flightworthy to “modern” standards would have been a significant design effort. And it has always been marginally profitable. High prices (fuel) means less interest, which means less income, which means yet higher price per customers. “Note that that engine is for a “business jet”. Why should a smaller jet engined A/C be forbidden? “Business” jets are not just used by billionaires flitting about their multiple mansions. They are used by government, military, and other interests. They are a niche A/C, small enough and fast enough to move people and important cargo around the globe at a moments notice. Many corporations cannot afford to own a business jet with its flight and support crews, but they join “pools” that make such jets available for more to use. Oh, and I almost forgot, they are also used for ambulance services. According to a 2 hour documentary (shown in Australia on FTA) a couple of months back, the Concordes were refitted to meet the updated standards (following the disaster). It was several years after that (and they were flying regularly again) that they were pulled. There wasn’t anything inherently wrong with the Concord. The real problem is that they were military class aircraft (where operational costs are of little concern) on civilian airfields where operational costs are a leading concern. After the disaster the public never regained confidence and that made the project financially unviable. together with any form of private transport. dont you know trains and buses are a lot more efficient, not to mention, just? Getting real tired of the “I don’t like it, forbid it” mantra. Welcome to civilization, where we stop people from doing things that DO harm the rest. Like creating sonic booms that interrupt sleep and break windows and otherwise disturb the peace. Like using way more than their share of a LIMITED RESOURCE, i.e., petroleum. The world isn’t a “do whatever you feel like” place. It’s a community. Deal with it. Come back to reality where everyone does do whatever they feel like it, laws or not. Well, the last time I was awakened or startled by a sonic boom was several decades ago, BECAUSE the Air Force has been restricted from flying supersonic over populated areas. You’re kind of proving what you’re trying to refute. I hope someone saying “we shouldnt allow expensive business jets with supersonic capability” isn’t also one who says “we need to subsidize ultra expensive electric vehicles (Model X) so rich people are enticed to buy them because that’s how innovation gets started”…because the reason of “we gotta help a thing most of the world cannot afford” to “get the prices down and more development” applies to both. Huge difference. But just in case you really don’t get it, development of electric vehicles reduces consumption of petroleum and production of greenhouse gases. Supersonic jets have no such collective benefit. Development of electric batteries helps reduce consumption of petroleum etc. All the rest is ready – we’re waiting for the suitable and practical batteries to come along. Subsidizing electric cars for the rich doesn’t help, because it is only indirectly funding the basic research that goes into batteries. In fact it does the opposite, because resources are wasted into building the cars instead. Besides, battery electric vehicles are a dead end anyhow. The batteries currently weigh 1000 pounds and deliver mediocre driving ranges with minimal energy consumption (minimal performance), and cost as much as an entire conventional car because of the amount of materials and processing that goes into them. Suppose you reduce the mass and price of the batteries by 70% what would happen? A battery would cost about a third of the price of a vehicle and top-middle range “affordable” car would have mediocre performance. However, the energy density and chemical reactivity of said battery would be on par with gunpowder, and it would literally become explosively dangerous. Electric cars can only become mainstream in the form of fuel cell cars. Fuel cell cars will never become mainstream, because the platinum (and other catalysts) is too rare. ICE and turbines burning hydrogen and/or Sabatier process methane (just insert CO2, Hydrogen, and run the process) are much more practical, because they allow the practicality of most (or all) petroleum engines moving over, including in the 3rd world countries, due to both price & availability. Also, in the case of methane, it’s already the primary constituent of “natural gas”, so there’s a lot of already existing infrastructure for it. Fuel cells aren’t likely to stop being used anywhere in the foreseeable future, but the “engineering solution” to the scarcity of fuel cell catalysts is to modify a different engine type for the same fuels. Are you talking about the same platinum that’s now being used to make catalytic converters? Not at all. The development of hybrid and electric vehicles HAS accelerated the development of electric batteries and the manufacture of them. There’s no question of this. Not if you burn coal to generate the power to charge the batteries. If technology for transportation had innovated at the same rate as computer tech during my life time, we’d be pretty much teleporting by now. Vice-versa, if the latter field had developed in the same way as aviation, we’d still be using eight-bit computers today, albeit a little slower and we’d have to take off our shoes before using them. Did anyone bother reading the latest ‘financials’ on G-E before writing this article? Do you want to tell us what you’re alluding to here? Nothing like spreading disease at supersonic speed, making it even harder to fight epidemics/pandemics. The world doesn’t need this. Telepresense..now thats the ticket and no latex gloved TSA employees to contend with. ???? We can already do that. In fact, we could do that the moment that running cameras and RC control over phone lines became possible. Didn’t get much uptake. Marry VoiP, an IP camera, and RC over the internet, and you’ll be able to do it with hardware that’s literally available from stores. I’m sold. Two questions. How much does this engine cost and can I get it from Digikey? For transonic propulsion, I think you’ll need at least a Raspberry Pi. rPi I/O has poor data rates and messy configuration, and Linux is not a usable as a RTOS, or even as a decent scheduler. Probably would use choose a Teensy 3.5, and about 20 or 30 nested interrupts, to control my trans-sonic master blaster. ..and mount it on a 3D printed paramotor frame. You might get across the ocean in 3½ hours, but you still need an hour to get to the airport, three hours advance checkin prior to boarding, half an hour to board, taxi and take off (if you’re lucky), an hour at the departure at customs, another half hour to get your luggage, and an hour to get to the hotel. So door to door it’s 10½ hours vs. 13½ hours on a regular flight. Not really much difference for so much money more. The market has spoken, loudly and clearly; and the market shut up with the last commercial SST flight. What did the market say? Same thing you just said; only you said it a lot more eloquently, and in language which any one–who wants to think about acknowledge it–can understand. Why would anyone want to fly SST? Same two reasons they pay more than $1000 for a “smart”(! )phone: (1) bragging rights; (2) sheep. On a related note–this article is somewhat a red herring, and “click-baitey”: the engine is a VERY small part of the equation (some would say a “vanishingly small” part) which determines the design–and eventual production–of a supersonic aircraft. Engines were never even considered a factor when all the major airframe manufacturers were submitting their SST designs for what they hoped would be the winner, back in the 1960s. Boeing very quickly retracted their ‘swing-wing’ design, which was judged to be far superior to Lockheed’s–and all others’–fixed-wing plane. Boeing’s final design, after grabbing all the headlines and being declared the preliminary winner? : fixed-wing. Physics, economics, and reality dictate there won’t be any supersonic planes for a loooong time. Maybe a SST private plane by the likes of a Grumman or Gulfstream, but no commercial SSTs–just not enough sheep with deep pockets. The engines weren’t a concern because the airframe designers were developing the intake diffusers. I believe the difference here is that the engine comes with a supersonic diffuser. The “intake diffuser”–whatever that is–on the SR-71 ‘Blackbird’ (the USAF and Lockheed will only admit, even now, to “…greater than Mach 3…”) is a great big hole. Worked in aerospace for a long time…never heard the term used in regards to supersonic engines, or any turbine, for that matter. I wonder if Kelly Johnson worried about the “…intake diffusers…” on the SR-71. Take a slightly closer look: it’s NOT a big hole; it’s a big hole with a big conical spike in the middle of it. The engine DOES NOT WORK in supersonic air without it. If Kelly Johnson DIDN’T worry about the intake diffusers on the SR-71, you can bet there was a supersonic specialist who DID. I can’t argue with someone whose–obviously–only expertise comes from an internet search. I suppose anyone with access to wikipedia is an expert in any discipline they care to hold forth on. So then, is it your “expert” opinion that gas turbine engines can operate with supersonic air at their compressor blades? Anybody else like to chime in on this one? I linked to Wikipedia to show you, because you obviously aren’t aware, that supersonic diffusers are a “thing”. I can give you lots of other references. jawnhenry: Ad hominem attack: Ad hominem (Latin for “to the person”), short for argumentum ad hominem, is a fallacious argumentative strategy whereby genuine discussion of the topic at hand is avoided by instead attacking the character, motive, or other attribute of the person making the argument, or persons associated with the argument, rather than attacking the substance of the argument itself. Yes, I get a lot of knowledge from the Internet. I find this to be superior to just remaining ignorant. In case you really never heard of a supersonic diffuser, despite your long career in aerospace, I linked you to an article on the topic. Since you clearly didn’t read it, I’ll point out that “diffuser” is a generic term for inlet devices like spikes, half cones, and ramps, which my may be familiar with. You responded with an insult. You’re welcome. So I would ask you to refute ANY of my statements, rather than resorting to one of the lowest forms of argument, and attacking me personally. I pointed out that the intakes for the SR-71 weren’t just the big holes you claimed, and you said nothing about that, but attacked my credibility. WAS there a version of the SR-71 that didn’t have big conical spikes in the intakes? If so, please enlighten me. If not, I find this offensive, and unless you can actually speak to the topic, I will not respond further. The rapidity of rejoinders speaks volumes…and we all thank you. They’re already working on that. Turns out that much of the intensity comes from those needle-point noses that supersonic designers love so much, so they’ve been experimenting with broad-nosed craft (notice how the plane above looks like it has a duck bill? ), and even with spreading the shockwave across the wings. As for pandemics, those mostly originate from remote locations (which is why we have neither immunity nor major investigative work for them), and take a while to “break out” as a result. The real problem is that a small percentage of military spending needs to be diverted to pandemic-preemption. I would love to fly on a supersonic aircraft, too bad it’s a dream. Although who knows it might happen sooner than we think. sonic booms can be loud, but definitely NOT destructive. an high altitude aircraft flying supersonic will not make any specially loud sound, and also a lot depends on type of aircraft. “super-loud destructive”, yeah, kind of an exaggeration. But sonic booms are like thunder – very loud if they happen 100 m away (to the point of being hazardous, in the event they startle one into doing something harmful), not even a nuisance at 10 miles. I and many in my family are hypersensitive to noise in general, especially sudden, unexpected loud ones. I would loath working the night shift while living next to a highway intersection and being regularly awakened by the sound of semi trucks using engine braking. (Jake brakes) That is worse than the hypothetical sonic boom situation would be. We’re hackers here, both professional and amateur engineers. As far as I’m concerned, and I hate noise, we need to decide on a reasonable noise level as a restriction and then enforce it. Make it too stringent and you squelch economic development. Make it to lenient and no-one gets any sleep or anything done for all the distractions. We need to choose and measure numbers and go by them. Making too much noise should be like speeding. Make too much and you pay a fine, hopefully enough to prevent the offender from doing it again. One might want to make an exception for one-time occurrences. It would be very annoying to go through the frustration of having an engine blow up or some other noisy accident and then be slapped with a fine too. That would not be cool. ….anyway…. we need to choose reasonable numbers and enforce them, allowing engineers and users to find ways to make it work within those constraints. …lastly, silence is beautiful. We don’t get enough of it. I promotes subtle thinking. During the old military tests on the subject (specifically in Oklahoma City), there were actually several windows broken, and possibly some wall plaster (possibly: there’s lots of clay in the area, so houses commonly suffer major seasonal foundation shifting). Turns out, the size of the window actually has an influence, preventing a specific number to how intense of a boom will cause damage: instead, you’re stuck with a formula that depends on factors outside the control of aircraft operators. For what it’s worth, I’ll say the following: the concerns are overblown, but there’s also some justification for them. From the OKC tests, we can know that the booms that were produced were likely too loud (1/4 of those polled said they couldn’t adjust to them, which could be fixed with a higher altitude & lower speed), but that there was some ability to adjust to them (in particular, the general assessment was apparently that having them happen at fixed times of day, such as noon, aided in adjustments). Also, much of the problem was ultimately “PR” in nature: the FAA took damage complaints lightly, and ultimately the government actually had to pay out damages for actual physical damage that was caused. I myself sometimes work about half-way between OKC and Lawton (the job involves work at widely scattered “zones”), and can confirm that artillery training in Lawton can be heard at least that far away, yet isn’t significantly disruprtive: in fact, I initially assumed that it was petroleum fracking, until someone corrected me.